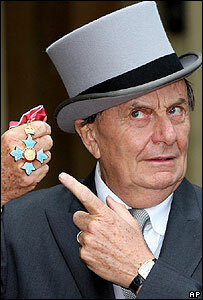 Entertainer Barry Humphries is to take a six-month break from live performing following appendix surgery. The 73-year-old, best known for his alter ego Dame Edna Everage, has been forced to cancel his only UK date, scheduled for Glasgow in March. The performer, who was made a CBE last year, has also shelved a tour of North America on medical grounds. A spokesman for Humphries said he would continue to make appearances, but live shows have been "put on the back foot". But he denied reports that complications would force the Australian entertainer to undergo further surgery. An operation to remove his appendix was carried out last month. Humphries was due to top the bill at the Glasgow International Comedy Festival in March, which would have marked his first appearance in Scotland for a decade. Festival co-ordinator Linda Allan said organisers were "extremely disappointed" that Humphries' visit has been cancelled. In a statement on the comedy festival's website, Humphries, writing in the guise of Dame Edna, said the doctor told her there was "a little feminine procedure I needed that could not wait". Dame Edna has been a TV fixture for decades, and is best known for her catchphrases including "hello possums!" and her silent, downtrodden New Zealand bridesmaid Madge Allsop. Humphries has a reputation for lavish stage shows, in which he appears as both Dame Edna and other characters, including foul-mouthed Australian cultural attache Sir Les Paterson. 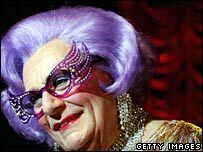 In 2000 he won a Tony Award in the US for a theatrical production of Dame Edna: The Royal Tour.